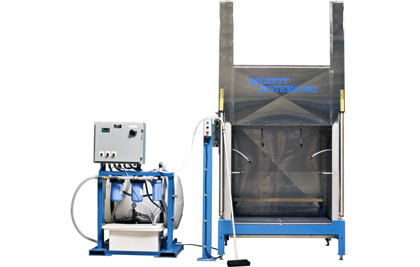 Protect your investment in your batteries with a SACKETT BATTERY WASHER with its unique NEUTRILIZING CYCLE. Regular washing and neutralizing of your batteries reduces or eliminates terminal and cable corrosion, as well as dirt and trash build-up on the battery tops.All models incorporate the same wash, unique neutralize, rinse and blow-off systems. They vary only in the method used to move the batteries in and out of the washer.